The SEC and other groups are looking at the bank's use of proprietary products in its wealth management business. JPMorgan Chase & Co. (JPM) received subpoenas and inquiries from the U.S. Securities and Exchange Commission and other regulators about how it sells its own mutual funds and other proprietary products. The SEC, other government authorities and a self-regulatory organization are seeking information about the bank’s use of proprietary products in its wealth-management business, the New York-based company disclosed Tuesday in a regulatory filing. The lender said it’s cooperating. 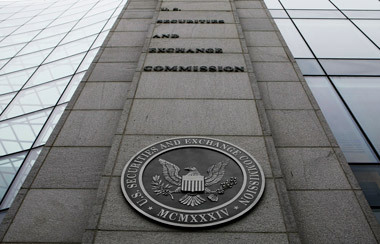 The SEC’s enforcement division has been looking into whether the bank and its brokerage affiliate adopted a strategy that uses bonuses and other incentives to encourage their financial advisers to steer clients improperly into in-house funds, structured notes and other investments that generate fees for the bank, Bloomberg reported in March, citing people familiar with the investigation. The probe includes a review of pensions and other accounts that hold the bank to a so-called fiduciary standard, which obligates it to put clients’ financial interests ahead of its own, the people said. JPMorgan’s asset-management business has grown as it and other big banks face regulatory pressure in areas such as trading. The firm had the highest percentage growth in asset inflows of any large manager in the five years through 2014, ending the period with $1.7 trillion in assets under management, according to a February presentation to investors. Darin Oduyoue, a bank spokesman, declined to comment on the SEC probe. Separately, JPMorgan said French criminal authorities are investigating its role in transactions by some senior managers of Wendel Investissement. The bank’s Paris branch provided financing to Wendel managers in 2007 to restructure their holdings in the French investment firm, according to the filing. JPMorgan said it was notified in April of the probe and that it’s cooperating with authorities.